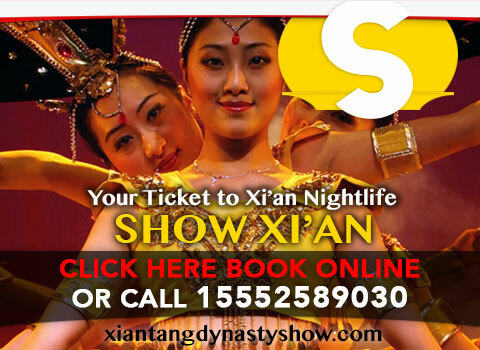 Tang Dynasty Music & Dance Show Xian — Book Tickets! , also known as "
" is the pride of the city. Hosted at the "Tang Dynasty Palace", which is a leading entertainment theatre & dinner restaurant in China. This legendary venue offers visitors a unique opportunity to indulge themselves in exotic Chinese entertainment and Cantonese delicasies. Book tickets to the show!